Mesut Ozil met Mikey on the same day Arsenal beat Napoli in the Europa League. 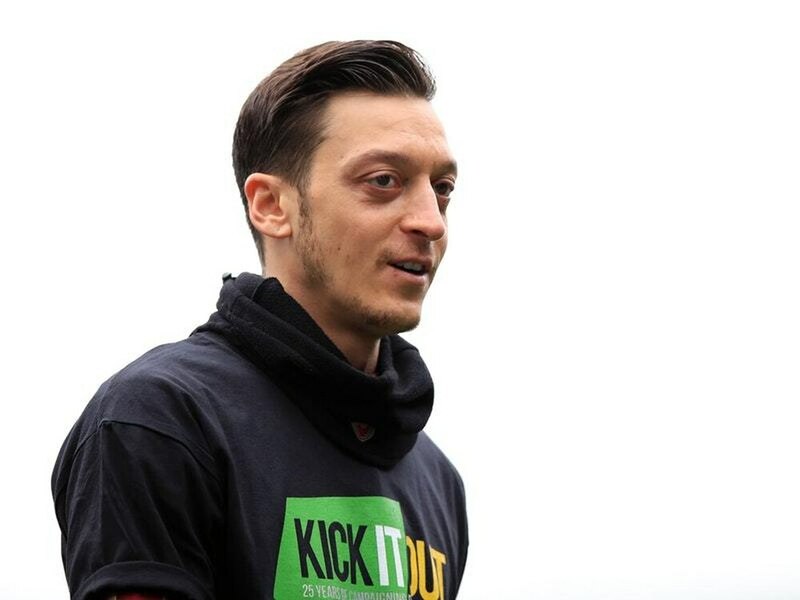 The video shows the midfielder meeting Mikey, who Ozil said suffers from a rare eye disease, smiling in an Arsenal shirt as he touches the face and hair of the playmaker. Ozil tweeted the video on Friday, writing: “Happy to have had the chance to meet my special fan Mikey yesterday. “He lost his eyesight due to a rare eye disease but this certainly does not stop him from playing football. The former Germany footballer met Mikey on the same day that Arsenal recorded a 2-0 victory over Napoli in the Europa League. The Gunners’ next game comes in the Premier League on Monday when they take on Watford away at Vicarage Road.